I set myself a target of 4 and a half hours to run the 22 mile course from Castleside to Middleton in Teesdale. Conditions were perfect with a tail wind from the east and it wasn't too hot. The first 8 miles to the tea rooms at the end of Waskerley Way were pretty straight forward. I managed to keep to my intended 10 - 11 minute mile pace and descended into Stanhope in glorious sunshine. When I reached the Ford at Stanhope I felt very hungry indeed. Imagine my joy when I saw an ice cream van (pictured). Imagine how that joy turned to ecstasy when I found out that the ice cream van sold hot dogs! Tremendous! I searched frantically in my back pack for my emergency £2 coin and handed it over to the bemused ice cream man. As soon as I'd scoffed the hot dog, I set off up the hill out of Stanhope. I didn't find it too bad this time. This was the 4th time in the last 4 weeks that I'd attempted it. I'm definitely getting used to that nasty 17% climb. By the time I'd reached the next summit at 1311 ft I felt very hungry again and was pleased to see Katy and Jack waiting for me in the car a mile later. At this 13.5 mile point I scoffed 2 bananas and drank half a litre of water. I said a quick hello and goodbye to Katy and Jack and set off up the further 780 ft climb covering the next 2 miles. I can safely say that the next 2 miles were the hardest I have done in a long old while. Not only could I feel the energy drain with each step, but my confidence was taking a bit of a battering too. I felt as though I was locked in a battle. Just me versus the hill. There was no way I was going to let it beat me. "Quitters never win, winners never quit" was the phrase going through my mind. I reached the 1695 ft summit absolutely drenched in sweat. As soon as I drank another half a litre of water I was on my way again. On my way downhill that is!! I dropped 700 ft over the next 2.5 miles and found myself running an 10 - 11 minute mile pace again. My legs really ached for the final 4 miles and I didn't have a positive thought in my head. However, my spirits were raised with 2 miles to go when I saw Middleton in the distance and I finished the run in style with mile 21 in 11 minutes and 22 in 9.5 minutes. I was really pleased with my final time of 04:20:04. That's probably quicker than the first 22 miles of the 2 New York and 1 London marathons I've done in the past. Had I been doing 26.2 miles today, I think I would have just been outside my 1997 London Marathon time of 05:05:13. Only just though! Mind you, there were no climbs like these in London or New York. These stats just underline the hard work I've put in during the last 12 months. Every week, I keep saying "If I keep this training up I'll be ok". I'm now starting to believe this. I now reckon I've got a very good chance of getting to Lands End. Everything is starting to fall into place just nicely with 2 months to go. 2 MONTHS!!!!! DON'T PANIC!!!!! Tuesday 24th April - 6 miles. Town Moor Memorial. (00:51:56). PB! Wednesday 25th April - 9.5 miles. Blaydon to Shotley Bridge. (01:41:30). Thursday 26th April - Gym. Friday 27th April - 9.5 miles. Blaydon to Shotley Bridge. (01:36:16). PB! Yet another PB as good form continues. Yes I know! The headline for this one is a bit sensational. But I continue, week in, week out, to make vast improvements. I'm losing weight. I'm running better and further than I have ever done. My endurance and stamina levels are improving noticeably and I'm starting to feel that I might actually reach Lands End in August. Tonight was the 2nd time this week that I'd ran from Blaydon to Shotley Bridge. On Wednesday, I ran the course in my second ever quickest time - 01:40:52, just missing out on a PB by 30 seconds. Tonight, however, using my super GPS watch I decided to race against myself using Wednesday's time. For the purposes of this story we'll call that runner from Wednesday Slow Mark . I never once used the watch to check the elapsed time, distance or pace. I merely relied on trying to keep ahead of Slow Mark. Pictured is the watch at the 3 mile point. It was telling me that I was 0.2 miles ahead of Slow Mark. By the time I'd finished the run this gap had increased to just over half a mile. When you run up the same old paths week in and week out having something to race against at least makes things a bit interesting. As it turned out, I smashed my previous best of 01:40:36. I amazed even myself when I saw that I'd completed the 9.6 mile course in 01:36:16. I knocked nearly 4 and a half minutes off my previous best time. Absolutely awesome (for a fat lad!). Given that the run is all uphill (See the pictured elevation profile) I was even more pleased with this outcome. These long uphill runs are really going to stand me in good stead for the mountains I'll be running over in Scotland. Oh and there is that little matter of the ones in the Pennines! Right that's the nice positive stuff over. Sunday is my next scheduled run. I'll be attempting the very challenging 22 mile course from Castleside to Middleton. Thankfully, the forecast is good. Not too hot at 16 degrees and a nice 12 mph easterly wind. Wahooo! That should be a tail wind! The quickest ever Town Moor run! So much for sticking to a 10 - 11 minute mile pace! When I was getting changed for today's run I felt as though I could achieve a PB for the 6 mile run round Gosforth and the Town Moor. Despite hot and humid conditions (about 18 degrees) I was going to go for it. My previous best for this route was 00:52:52. I set this PB back in the winter of 2003 and have rarely come close to beating it. In fact I never got less than 1 hour all last year, often taking about 01:05.00 or thereabouts. Rob, Jonathan, Ian and Steve set the pace. The first few miles were done at a pace faster than I'm used to (08:59) and I thought that I would never be able to keep that up for the whole run. On the uphill section of Grandstand Road I picked the pace up even more and managed to reach the 2 mile point at 00:17:40. It wasn't long before I was at my familiar position at the back of a pack of runners. However, I used this to my advantage on the 3rd and 4th miles where Ian "The Coach" and Steve were setting a good pace which I managed to beat and I left them at the 4.5 mile point. I later found out that Ian had forgotten his running socks and was struggling to run at his usual pace. Knowing that a PB was in my sight, I really pushed myself on the last mile and a half. I had now increased the speed to an 07:30 minute mile pace. I crossed the finish point (which is simply a lamp post near Northern Rock's head office) at 00:51:56. I had to stop there and then for fear of collapsing! What a way to start my running week! As well as improved fitness, I think that losing a stone since Christmas has helped. Right! It's time to start running sensibly again. Back to that 10 minute mile pace! Tuesday 16th April - 6 miles. Town Moor. (00:57:17). Wednesday 17th April - 8.4 miles. (01:45:13). Saturday 21st April - 12 miles. Castleside to Stanhope. (02:33:05). Today's plan was to run 11 miles from Castleside to Stanhope. I was accompanied by Ian "The Coach" who thought it was a good idea to also try the 17% climb out of Stanhope at the end of the run. He's a hard task master to say the least. We had a comfortable start and seemed to reach Waskerley Way (pictured) in no time. I once wrote the following about this desolate place while running the C2C route in 2002: "Now for the most depressing part of the whole run; Waskerley. Now do I not like Waskerley. Waskerley Park, Way, Reservoir or anything else Waskerley.". I can safely say that nothing I saw or ran on today has changed my mind about Waskerley Way. It's like another planet out there. It's even worse when it is as windy as it was today (about an 8 mph south westerly). The wind was in our faces for 6 miles none stop. It was a complete nightmare. And boy did we whinge all the way! "It's too windy", "The stones are digging into my shoes" and "it's too cold" were just some of the complaints to be heard. What a pair of wusses! We eventually got to the road section near Crawleyside Bank and it was some relief to be sheltered from the wind. A steady descent followed into Stanhope and we had a quick water stop before setting off up "that hill". I must say that the climb up the 17% hill is not half as bad when you have been running for a while. Either that or I'm getting used to it! We continued uphill for another mile before Katy arrived in the car to pick us up. At this point (pictured) I felt as though I could have ran the remaining 10 miles to Middleton no problem. I think I'll have an attempt at that next weekend. All in all, it was a great morning's running in difficult conditions and up some steep hills. When the wind was really blowing, I did mention to Ian that I'd rather be watching Soccer AM on a nice warm setee! Pictured, thanks to my wonderful Garmin 305 Forerunner GPS watch, is the elevation of today's run. As you can see it was uphill for the first 9.5 miles. And did I mention the wind at that point of the run? On a positive note, I felt no reaction to my groin injury. I know I've been a quick healer in the past but this recovery has really surprised me. When I felt my muscle "tear" last week I thought that this was a serious one. Thankfully, this seems not to be the case. I'm now going to forget all about running as fast as I can and "beating my previous time". I've got too much to lose at this late stage of my training. So for the purposes of self preservation, it's going to be 10 - 11 minute miles from now on for me. That's the pace I intend to run from John O'Groats to Lands End, so I might as well get used to it. Due to the injury that I picked up on Wednesday, I haven't done any exercise for the last 2 days. I've enjoyed the rest though! I'm now pleased to report that, after a fitness test, the pain in my groin and leg seems to have gone. And when I say fitness test, I mean that I raced Jack to the school gates when I picked him from school. He won, as per usual! So I'm all set for a long run in the morning with "The Coach". The plan is to run part of my John O'Groats to Lands End route (Day 16). We'll be starting off at Castleside and the minimum distance thereafter will be 10 miles to Stanhope. Any mileage achieved after that will be a bonus. I fancy at least trying to make it to the first summit after Stanhope (pictured). I'm interested to see how I'll cope with that 17% climb out of Stanhope after 10 miles of running. I think the answer will be probably just as badly as the last 2 Sundays when I've ran up it! Groin injury hopefully not too serious. While on the last mile of an 8.5 mile run around the Havannah Nature reserve, I felt a sudden ping in my left groin (possibly the adductor magnus (pictured)) with further pain extending round to my hamstring. I was running at just less than a 09:30 per mile pace at the time, which is fast for me. I managed to do the last mile in a little discomfort having to slow things down only very slightly. Only time (and the appropriate "massage" from Katy!) will tell, what this means to the rest of my running schedule this week. I'm due to go to the gym tomorrow, run 11 on Friday and run 12 or so on Saturday. I should be ok for the gym and may have to miss Friday's run. It is crucial , however, that I do the run on Saturday, a tricky run through the hills of the North Pennines. In my 15 years of running I've hardly had an injury. I've certainly never had a serious injury. When I have picked up a knock, I'm glad to say that I've always proved to be a quick healer. I'm sure it will be the case with this latest one. Fingers crossed! With only 12 weeks left until the big run I'm going to have to be very careful and try to steer clear of any further injuries. I'm going to have to take longer warming up and then down again at the end of a run. Which is difficult, when you sometimes take 2 hours or more for a lunch break. It'll be interesting to see how I get on in tomorrow's gym session. Check back for the latest news tomorrow evening! Now...about that massage. Wednesday 11th April - 10 miles. Race course, Havannah. (01:45:30). Thursday 12th April - Gym. Friday 13th April - 5 miles. Race Course. (00:44:41). PB! Saturday 14th April - 11 miles. Blaydon to Shotley Bridge. (01:45:13). Sunday 15th April - 11 miles. Stanhope to Middleton. (02:21:01). 11 miles of hills in 22 degrees of heat! I knew when I looked at the forecast on Saturday that today's run from Stanhope to Middleton was going to be one heck of a scorcher! At least I had a bit of company to share the pain with! Mike and Michael (pictured left) decided to put some training in for their up and coming 22 mile Pennine Challenge run. This event runs parallel with day 16 of my big run from Castleside to Middleton. I've been trying to scare these two for some time with stories of the steep hills in and around Stanhope. I reckon by the end of today's run that they thought my stories were justified. Although nothing these fit lads can't handle! We set off, in glorious sunshine, with me leading the charge up the 17% gradient hill out of Stanhope. After 10 minutes or so, I found the pressure of leading such a high quality field too much and asked if Mike and Michael would share the burden of leading. They are both built for speed and I thought we benefited as a group from this approach. I still maintain that that first climb out of Stanhope is by far the worst on this stretch. It's a complete nightmare to run up (Especially at my weight!). Things got much easier after that first climb and I felt I was getting stronger and stronger as the run progressed. The other lads hardly seemed out of breath most of the time. As was the case last week, the cars and motorbikes passing by gave me plenty of room. I find the riders of those big Harley Davidsons to be the most courteous. There was one spot a t around the 9 - 10 mile mark that had a few blind bends. Thankfully, Mike and Michael (pictured) were a bit in front of me so they would have got hit first! We all had a strong downhill finish into Middleton and, as planned, Katy was there (with Monkey) to pick us up in the car. Despite a very difficult start, in scorching conditions, I have to say that this was yet another pleasing run. Even more pleasing considering I ran 11 miles yesterday afternoon in equally hot conditions. It's obvious when you think about it, but I've noticed that I consume twice as much water on hotter run. I got through 2.2 litres today, mixed with that wonderful electrolyte powder, in just 10 miles. It's a bit of a culture shock running in such heat after months of cold winter training. I much prefer the hotter conditions though. Just as well, as I'll be running my 900 miles in the height of summer. Scorchio!!! Just 3 months left.........not time to panic (yet)! There are less than 3 months before the big run. It's time, just for a moment, to take a step back from all the training, organising, pestering, dreaming and planning and take stock of things. This event has presented me with 4 main challenges; organising it, training for it, sponsoring it and running it. The organisation of the run has gone almost 100% to plan so far. I haven't managed to acquire the camper van that would have solved all of my accommodation problems in one fell swoop. I have, however, managed to get some very cheap and often free "digs" with the help, imagination and generosity of colleagues and friends. So far, I've got 24 nights of "quality" accommodation. This leaves 18 nights sleeping in a tent in both the Scottish highlands and later in Devon and Cornwall. These 18 nights coincide with support from my wife and son - Katy and Jack (and not forgetting Monkey of course!). It should be an interesting family experience to say the least! My other supporters, Keith and Owen, have put their hands into their own pockets for digs. I owe them a beer or two after the run when I start drinking again (My last beer was New Year's Eve!). Speaking of support, I have all but 4 days of the run supported. I need to finalise support for these 4 days very soon or I face the prospect of running 96 miles solo! Heaven knows how that would work out. I'm currently giving thought to the changeover arrangements needed when one supporter finishes and another starts their duties. I do feel that I'm almost there on the organisation front. My training for the run has gone far far better than I'd expected and my fitness is probably the least area for concern. I'm running quicker than I have for a long time and further than ever before. Apart from a sore groin lasting a couple of days and a bad back caused by carrying 2 litres of water for 51 miles there's hardly been the hint of an injury. I've said it many times before and I think it is worth emphasising again. The support and encouragement from my colleagues at Northern Rock has been key to the progress I've made in training. Again, I think a few beers are in order when I return, God willing, from the south coast in August. I set an unprecedented and very ambitious sponsorship target of £5000 for this event. At the time of writing, I've achieved 51% of that target. In my school days, that would have been enough to get you a pass in an exam. I'm after an A+ this time round and nothing less than £5000 will do for the pain I'm about to put myself through. I've still got plenty of avenues to pursue and remain ever confident of reaching this target in aid of St Benedict's Hospice. And finally we come to actually running the thing. How on earth is a human being supposed to run that far in 6 weeks? Especially a 16 stone one! I'm resigned to the fact that it's going to hurt like mad. I'll be prepared for the pain knowing I'm backed by so many people, pledging money, for such a great cause as St Benedict's Hospice. One thing is for sure. This is a real step into the unknown for me. It doesn't compare to anything I've ran before. I could really do with something like a "Running 900 miles for Dummies" book. In preparation for two 11 mile runs at the weekend, I decided to warm up with a nice and easy 5 mile run to Newcastle Race Course and back. Conditions were on the chilly side and I was joined by Ian (aka "The Coach") who had regrettably, for him, decided to wear a very thin vest. Oh how I laughed! Ian was nursing a couple of niggling injuries so he wasn't his usual speedy self. We still managed to run at a fair pace and I was more than pleased with the final time of 00:44:41, smashing my previous best of 00:46:13. This means diddly squat in the context of running from John O'Groats to Lands End. It is, however, pleasing when you use it to show how much progress has been made in the last few years. I never managed to break 50 minutes for this run in 2006. My average, this year, has been around 48 minutes. If I keep this level of training up I hope to run even quicker in the future. And, of course, even further! Major national celebrity pledges support! What a coup! What a signing! Call a press conference! As well as having a crew of 4 road side support staff for this year's big run, I've managed to secure the services of a major iconic national celebrity. I'm proud, privileged and excited to announce that none other than the ITV Monkey has agreed to sign up for the cause. It turns out that Monkey (as he prefers to be called) is a massive Toon fan and, after reading my story on www.nufc.com, got in touch and asked if there was anything he could do to help out. So for the next few months Monkey will be taking on the role of press liaison officer, fitness advisor, physio and sports psychologist. How can I now fail the task of running 900 miles in 6 weeks with such world class support as this! Pictured to the left, are Monkey and I, just this afternoon, waxing lyrical about our favourite Alan Shearer moments. We voted "that goal" against Everton in December 2002 amongst our many favourites. Who'd have thought, after all this time, that he was a loyal member of the Toon Army. Obviously (and in particular a note for the lawyers of ITV, Johnny Vegas and PG Tips) this is just a bit of tongue in cheek fun. Do, however, check back and see how Monkey and I are getting on. This Sunday will see our first training run together in the North Pennines! I'm very pleased to report that I've passed 50% of my total sponsorship target. As I write this entry in my blog, the fund stands at £2516. This is down to some very generous pledges from the readers of www.nufc.com. Thank you! Thanks must also go to Niall and Biffa, the creators of the site, for the publicity they've granted me. 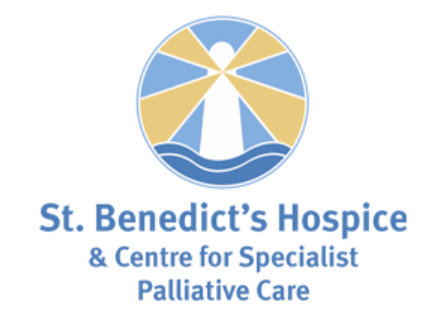 When I set myself the very ambitious target of raising £5000 for St Benedict's Hospice I knew that It wouldn't be easy. I am now left with trying to raise a further £2500 in the remaining 3 months before I set off from John O'Groats. I remain as confident of being able to achieve that goal as I am of actually finishing this mad run. If I keep up the training and people continue to be generous and supportive then I stand a very good chance. Monday 2nd April - 5 miles. Race Course (00:48:25). Tuesday 3rd April - 6 miles. Town Moor Memorial (00:54:00). Wednesday 4th April - 9.1 miles. Race course (01:30:10). Thursday 5th April - Gym. Saturday 7th April - Gym. Sunday 8th April - 11 miles. Stanhope to Middleton. (02:10:11). You just can't beat running 11 miles in the North Pennines on a sunny Easter Sunday! This is the first time I've actually trained on a section of the John O'Groats to Lands End route. In fact this is approximately mile 424 - 435 of the big run. Or you could think of it as 1.2% of the total distance! I prefer not to though as it makes me feel rather sick! Setting off from the ford at Stanhope, I immediately had second thoughts about doing such a hilly run. That first 14% hill is an absolute nightmare and is enough to put anyone off. I was gasping for oxygen after only 7 minutes and boy could I tell I'd had a Chinese meal the night before! Half a mile later things started to even out a bit (not much mind!) and I started to get in my stride. It did, however, take 16 minutes to do the first mile, such was the steepness of the first climb. I think this may be a new record for me. With it being a Bank Holiday. there was quite a lot of traffic on the road and I'm pleased to report that 99% of them gave me plenty of room and a few of them slowed down to wave for some strange reason. I reckon that the 1% who drove very close were more than likely bitter Mackems who spotted the Newcastle training top I was wearing. After 4 miles or so, I was stopped by a colleague from Northern Rock - Richard. He'd been out for a walk with his good lady. It's always nice to see a familiar face and he reckoned that once I'd reached the nearby 1650 ft summit (pictured) that I'd have "broken the back" of today's run. It was quite appropriate that I bumped into Richard on this day of all days (Easter Sunday) as some say he has a look of the Messiah himself! I'm referring to the biblical one by the way and not Kevin Keegan. Richard's words of encouragement turned out to be quite right. Once I'd gone over the 1650ft summit, I really did feel that the worst climbs were out of the way. In the distance, I could see the valley in which Middleton was situated. This, at least, gave me something to focus on and I picked up the pace to around 11 minutes per mile. This is much slower than my usual training pace but that's all the steep hills and strong wind would allow. After 2 hours and 10 minutes of running, I met Katy and Jack (pictured) for my lift home. I felt really good at the end and felt like I had a lot of miles left in me. This was surprising, considering the amount of crispy duck, ribs, chicken and seaweed I ate last night! All in all, a successful day's running was achieved and Jack was rather pleased too, having gone to the park in Stanhope and had an ice cream while waiting for me to finish. As far as training runs go, this has got to be one of the most scenic I've ever done. The conditions would have been perfect if it hadn't been for that pesky 13 mph westerly wind. The glorious sunshine more than made up for it though. Happy Easter! At midday today I will be attempting to run from Stanhope to somewhere near Middleton. Sounds good until you take the hills into account! I hope I show more stamina then my mate's missus, Sarah, who had to "retire early" last night after drinking too much. You'd think she'd know better at "that" age. As for me, I consumed about 5 pints.....of diet coke! Oh and there was the small matter of a Chinese banquet. Great fuel for a run in the Pennines. What better way to spend a lunch break than to run 9.1 miles in a big loop around Gosforth on a warm and sunny day. I felt like I could run all the way to Land's End there and then, such were my apparent energy levels. I'll put that one down to Katy's superb pasta the night before. I finished today's run in 01:30:10 which was at a slightly slower pace than yesterday's 00:54:00 for 6 miles. However, today's run was a solo effort. Yesterday, I was accompanied by Jimmy and John and they set a very good pace for me to keep at (slow for them I might add!). All in all, my confidence is very high. I'm looking forward to and enjoying nearly every training run (Those ones in the dark weren't the slightest bit enjoyable!) . I'm running injury free. I'm almost a stone lighter than I was in January. My recovery times are virtually nil. I'm sure you get the idea! I must give some credit for my progress in the last 6 months to my colleagues at Northern Rock. I often run in the company of some very accomplished runners. Many of whom have taken time out to do a "slow" run with me just to keep me company. Their encouragement is appreciated and they still have a major part to play in getting me up to the required standard for the big run in the summer. I'm pleased to report that I successfully completed a 5 mile run today with no pain whatsoever in my back. I've got a variety of runs and gym visits planned this week. It will be nice to do them injury free. The Route (Week 6 of 6). The end! Hopefully! Note that I have included 3 contingency days. If I don't have to use these at some point, it will be a miracle. Tuesday 27th March - 6 miles. Town Moor Memorial (00:55:21). Wednesday 28th March - 5 miles. Race course (00:50:30). Thursday 29th March - Gym. Saturday 31st March - Gym.